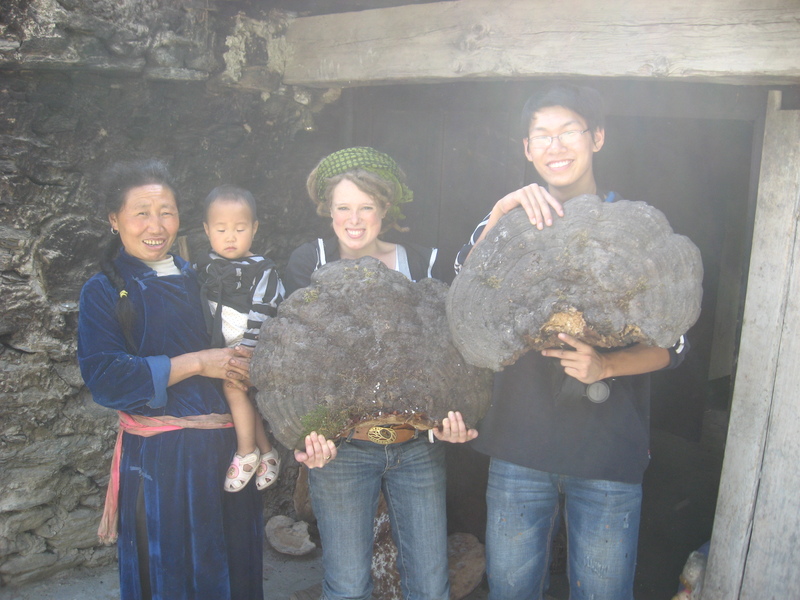 As I mentioned in my last post, my first 2010 field visit entailed a lot of vegetable-plot weeding alongside Global Village of Beijing’s farm manager, Peng. 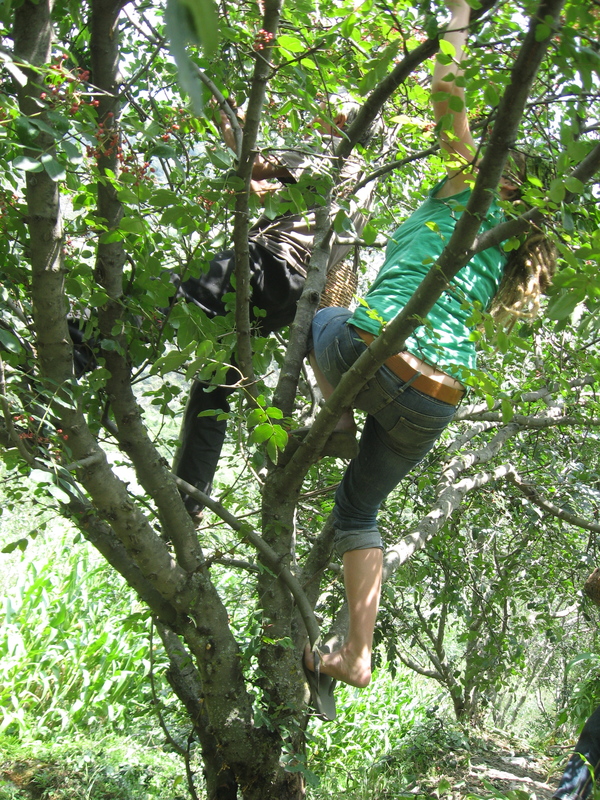 Nothing builds camaraderie like digging in the dirt while roasting under the sun and carrying on a conversation between intermittent yelps, courtesy of attack ants, so needless to say Peng and I became friends. 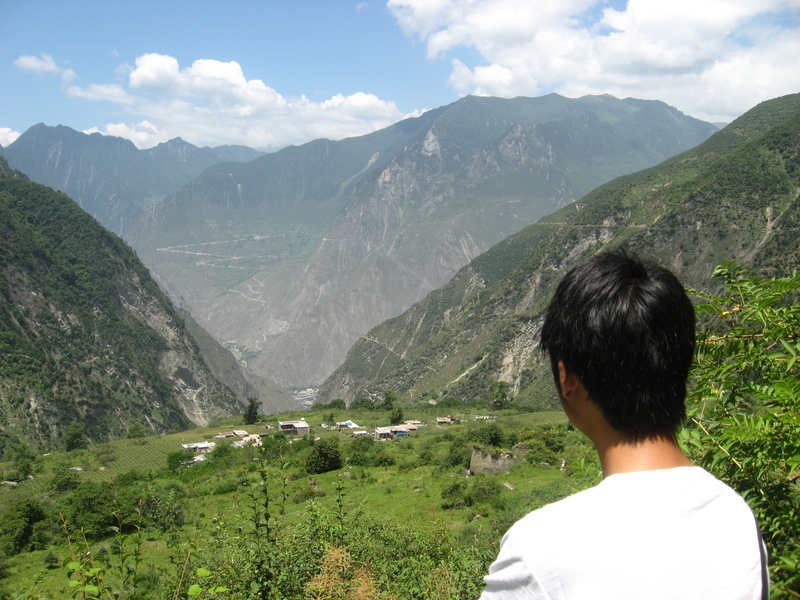 Peng described to me how his family’s village, situated within Lixian county high in the mountains of Aba in northwestern Sichuan was at the epicenter of the 2008 earthquake. When he went back to help his parents rebuild their home, he realized many of the women were left with little support while their husbands were hired away on reconstruction projects outside the village. In hopes of creating a sustainable source of revenue for his neighbors, he hired a well-known woman from a nearby village to teach the women in his village the art of making traditional embroidered handicrafts. He paid all of their salaries during their training, and then bought everything they produced and took the products to Beijing to sell. In the end he was unable to afford the rent of the shop in Beijing, and he eventually returned to Sichuan to work at GVB without having recovered much of his investment. 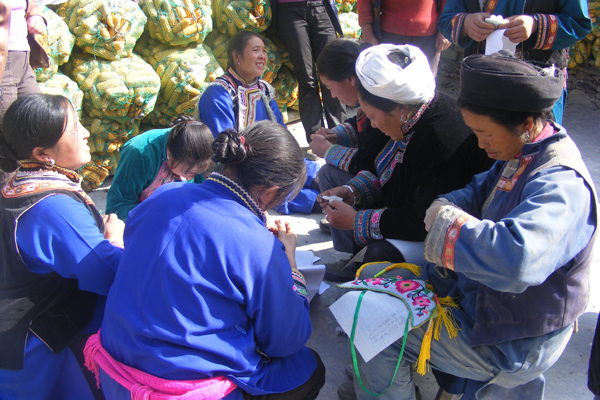 Some of the women from his village weaving, photos courtesy of Peng. Peng was planning to spend a week back visiting his parents at a time that coincided with the end of my internship with GVB, and we made plans to go back together so he could show me his village and give me some of his surplus handicrafts to take back to the US and try to sell. Our friend and fellow volunteer, Cheng, would join us for the first two days before returning to GVB. 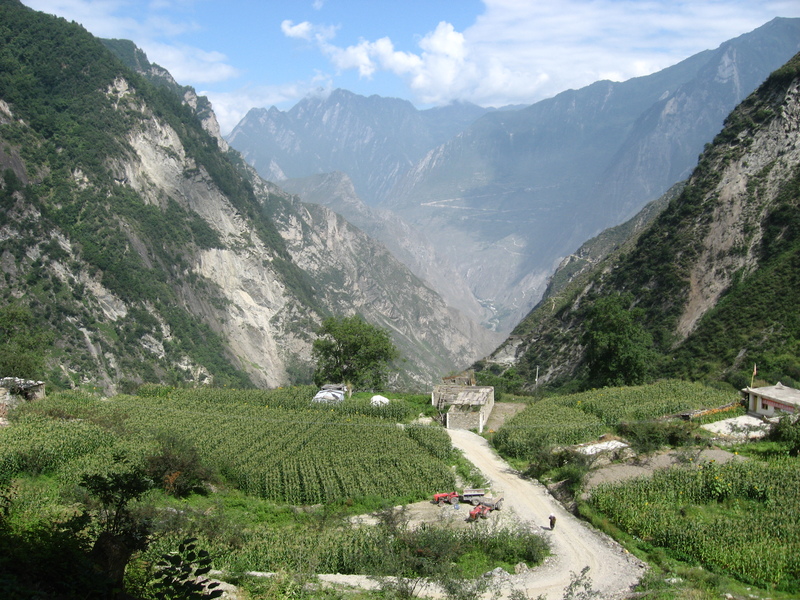 We met up with Wang Peng’s brother-in-law in the capital of Chengdu, piled into a small van, and spent the next 7 hours traversing the mountains through Wenchuan district to eventually arrive in Lixian. On the drive the damage left from the earthquake was striking, and reconstruction efforts will still in full-swing. 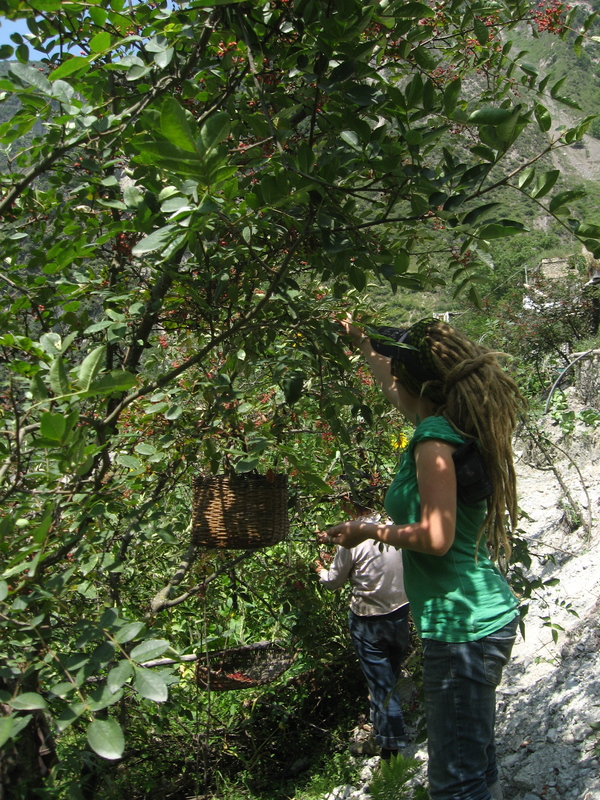 When we arrived at the base of the mountain where Peng’s village was perched, our van ascended the road zig-zag style until eventually dropping us off at the edge of a cornfield where we picked our way through the stalks until we emerged at Peng’s parents’ house. 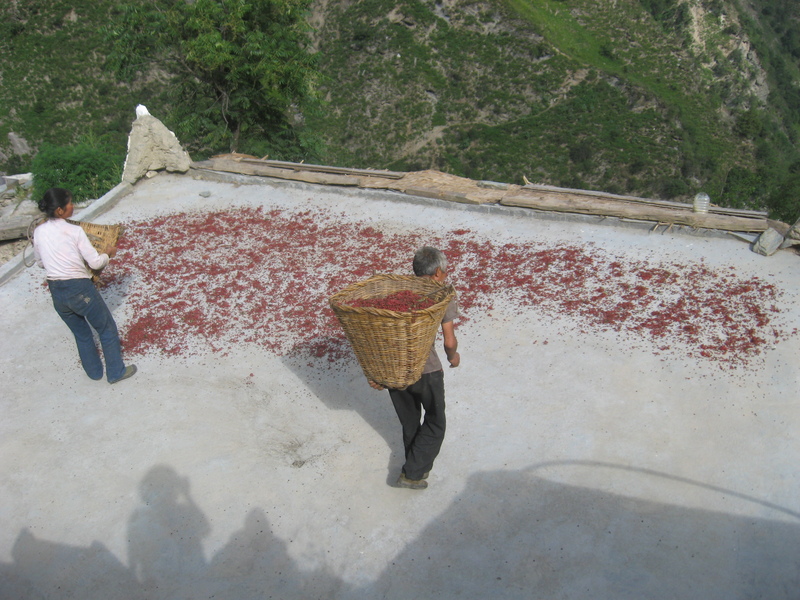 They warmly welcomed us in and served us tea. When his mother heard that I was from the U.S., she asked me if that was far from their home. That night I slept in a bed in a room that was shared with Peng’s mother and father, while Peng and Cheng slept in an adjoining room. Here’s a view overlooking the mountain. 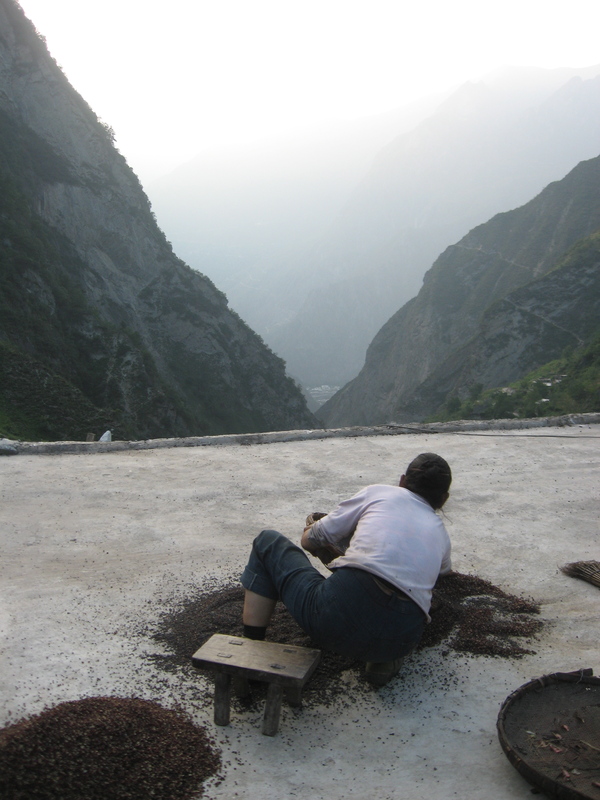 The following morning we helped Peng’s parents spread the huajiao seeds they had picked the day before out on their roof to dry. 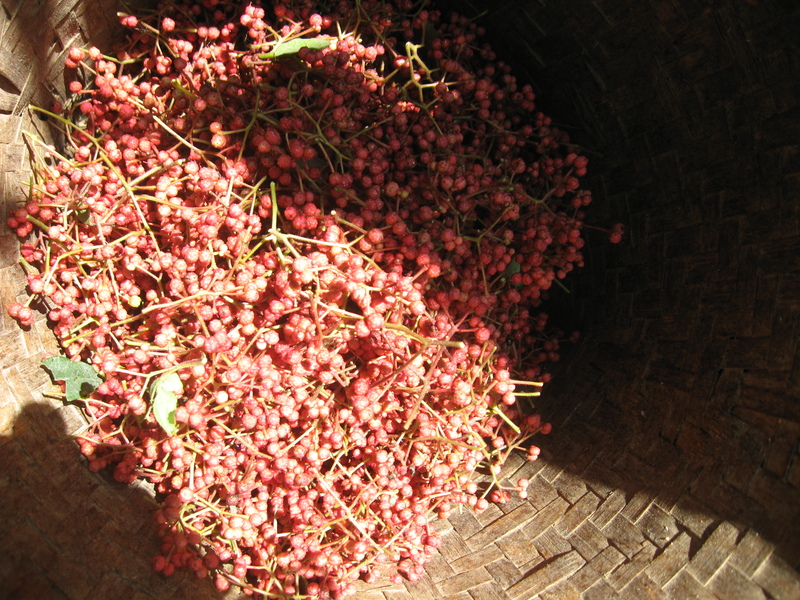 Huajiao is a small red spice used in traditional Sichuan dishes that grows on thorny trees along the mountainside. 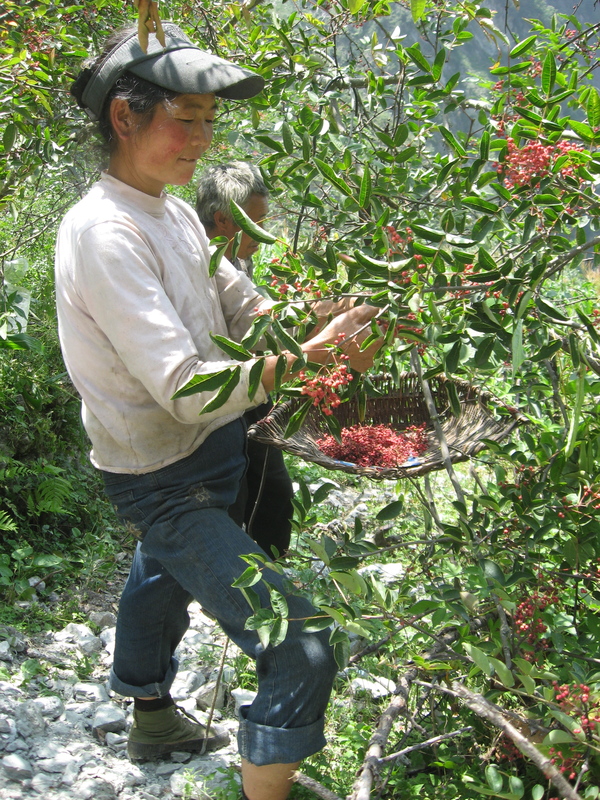 Many of the villagers harvest huajiao as a primary source of income. Everyone here can do needling work, he said, but if they want to sell it in the market there is specific training they need. Peng supported the first training for the people in Lixian. 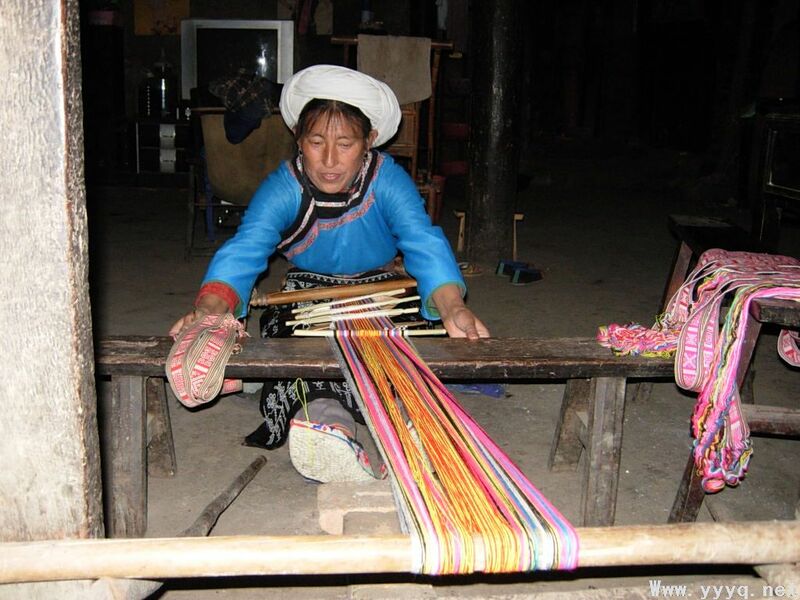 Not far from Lixian is another village called Maoxian, where he knew of an older lady whose embroidery work was very good, so he invited her to come and help train the women in his village. 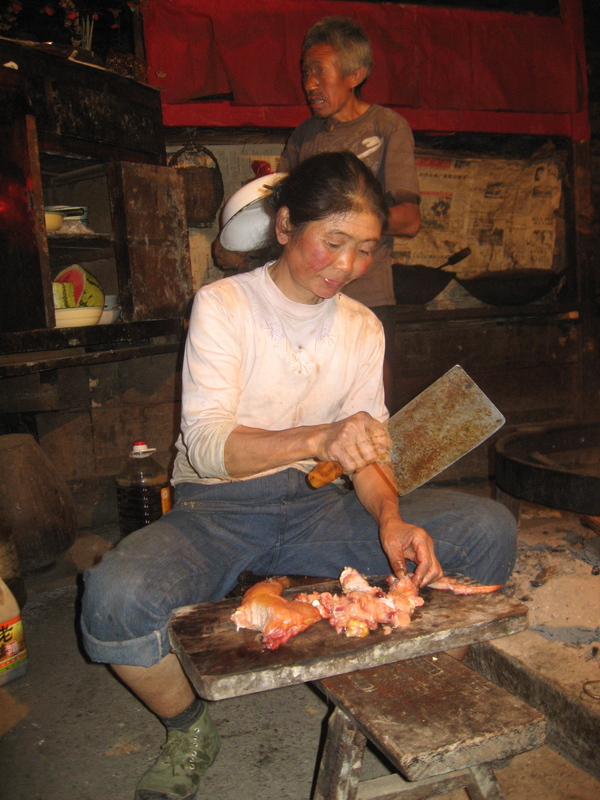 He used 20,000 RMB ($3,267) to pay the women and help cover their living expenses. At the time, he said, his intention was simple: to create a way to help the women make a living so they could rebuild their houses as soon as possible. But when he took their crafts to Beijing, there was basically no profit. 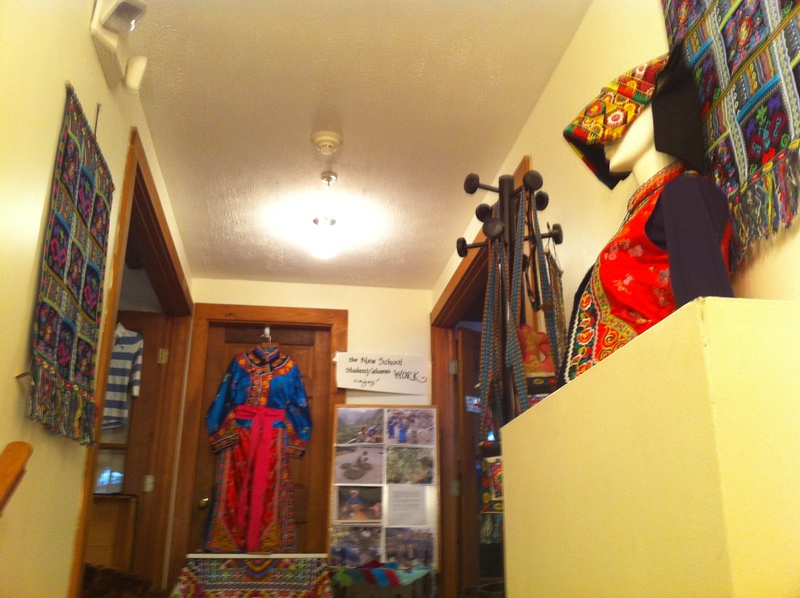 In one year he sacrificed 100,000 RMB ($16,336) because the rent for the shop was 5,000 RMB ($816) each month. He had four friends who also helped by investing 10,000 RMB ($1,633) each, to help augment the 60,000 RMB ($9,802) of his own funds. His friends were studying at Beijing Ethnic University, and they helped him set up his shop along with an exhibition at the University, but in the end the rent fee was just too high. 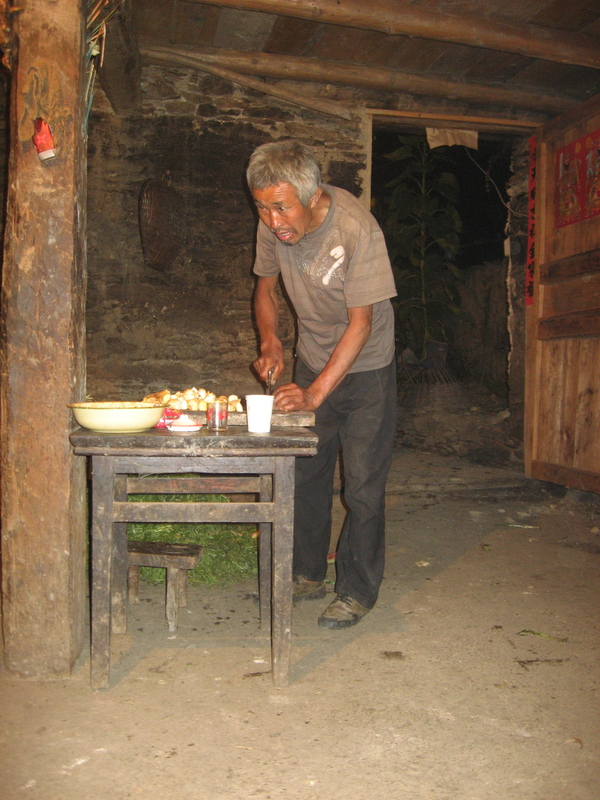 In March 2009 he returned to help his parents continue to rebuild their house, and the following year he began work at Global Village of Beijing. The women have since stopped embroidering because he doesn’t know a viable channel by which to sell the handicrafts. The conversation soon moved to broader village life, and Peng said that a lot of people have left the village because there is reconstruction work available, but after two years there will be a problem because that work will be over. 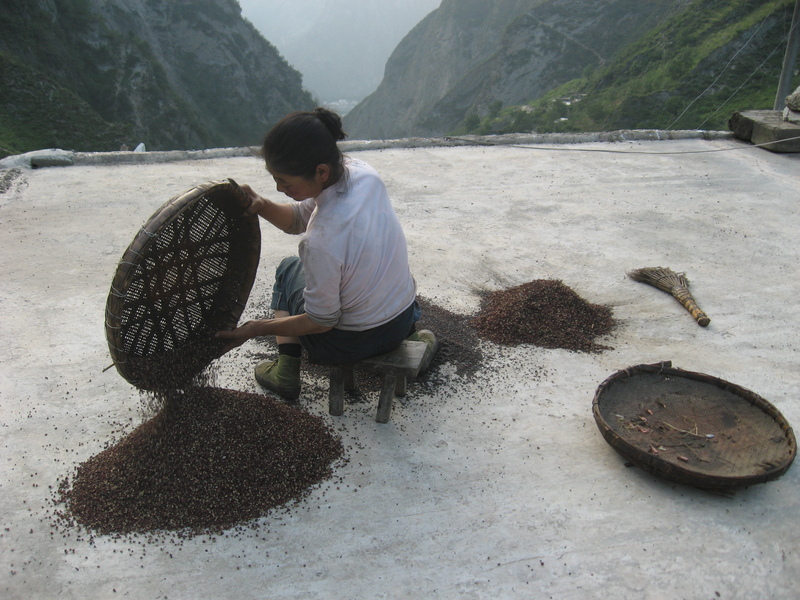 While many of the people there rely on huajiao, there is also a big insect problem that has been there for four or five years now, and they don’t have any exact solution to deal with the insects. Before the earthquake everyone had savings and they were all comfortable, but after the earthquake everyone’s savings went into reconstruction, while their source of livelihood has basically yielded the same amount of earnings, so life is much more difficult now. 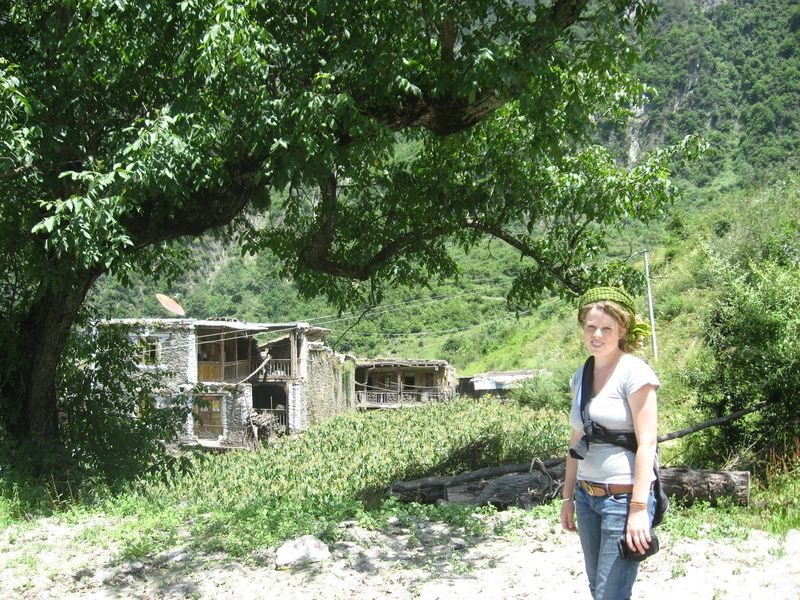 Almost every house in the village had to be reconstructed. 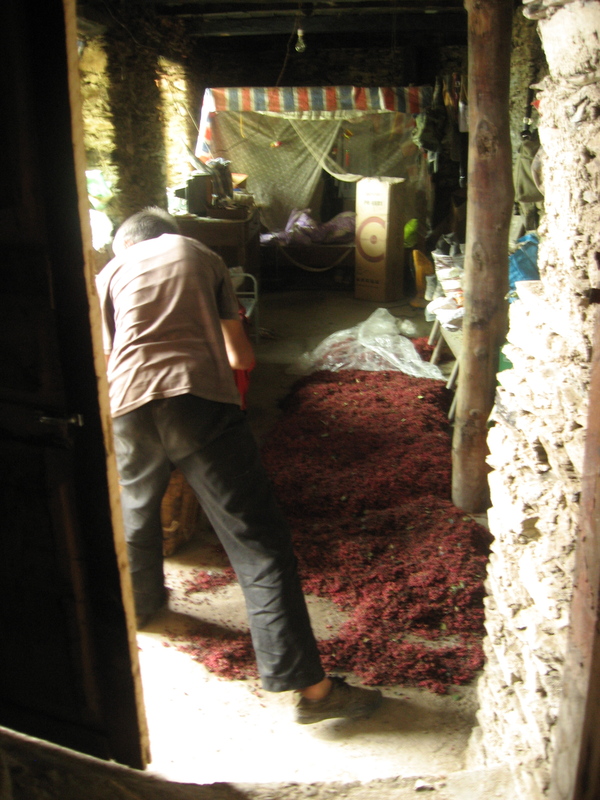 His parents make 30 RMB ($4.90) for every half kilo (1.1 lbs) of huajiao they pick. Cheng spoke with Peng’s parents, and they said they are very proud of him; that even though he sacrificed so much they can still support themselves and don’t need to worry, but he was able to help other people and that was a really great thing. 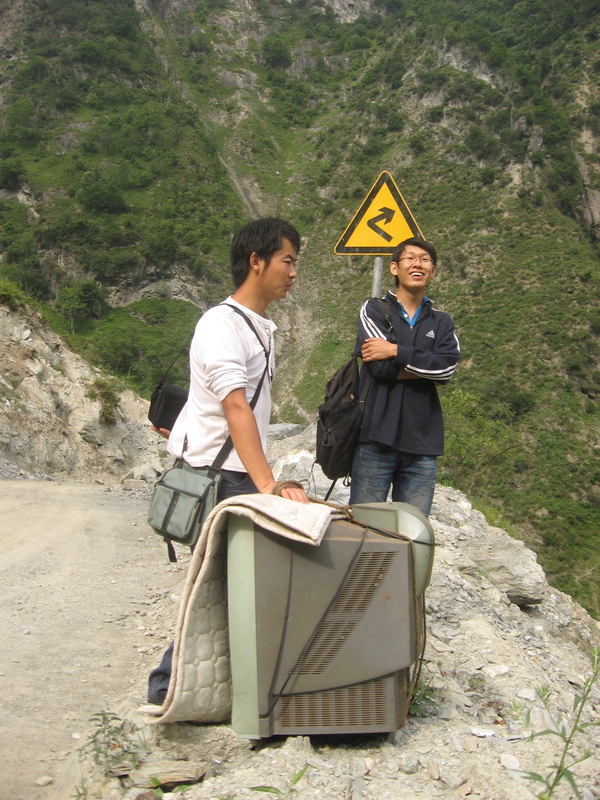 The next morning I went with Cheng and Peng to the town at the base of the mountain, and Peng brought his parents’ television down with him to get fixed , which required that he strap it to his back part way down the road, and then strap it to the back of a tractor where his cousin was waiting to drive us the rest of the way down. When we arrived at the base Cheng took the bus back to Daping to continue working with GVB while Peng and I ran some errands before loading everything back in the tractor, zigzagging partway back up, then hiking the rest of the way (again through the cornfield – at this point Peng not only had the TV strapped to his back but was also lugging a case of beer while I carried the relatively light load of vegetables). 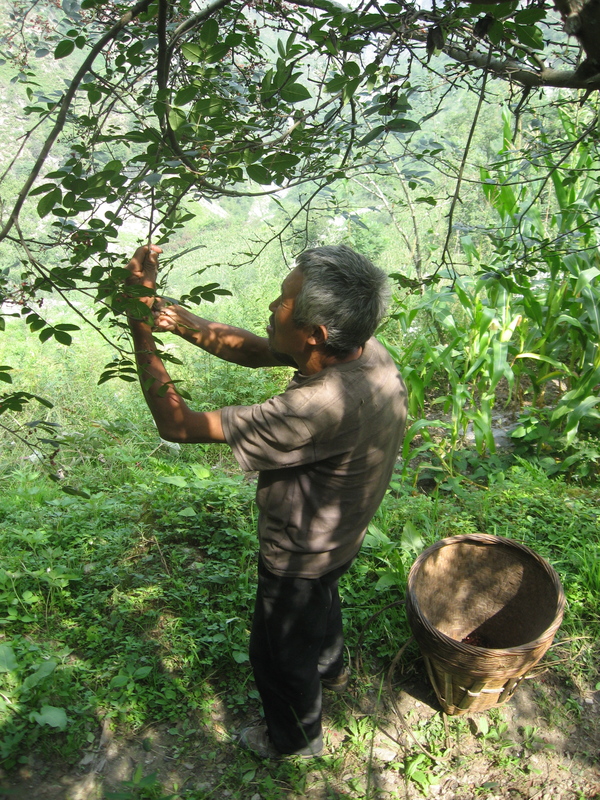 We spent the rest of the afternoon picking huajiao. Peng said he has helped his parents pick huajiao since he was a kid, and his mother told me that every morning she gets up at 5:30am, and never takes a day of rest. The next day was my last full day with Peng and his family. After breakfast we returned to the fields where we worked until the late afternoon. 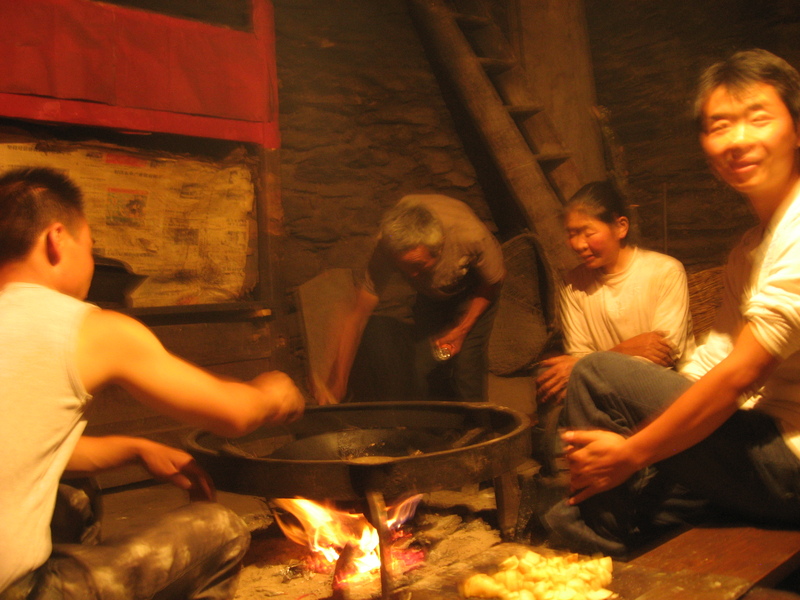 Peng’s parents work side-by-side all day, and at night they both help cook, equally sharing responsibilities – his dad would wash the dishes, and they both prepare the fire and cook the vegetables. They do not have a refrigerator; instead if food is not finished for one meal they will save it and serve it for the next meal. A lot of questions his parents asked me were about money in the US – how much do things cost? What do people in my hometown do for work? How much can someone earn in a month? How much did my plane ticket cost? 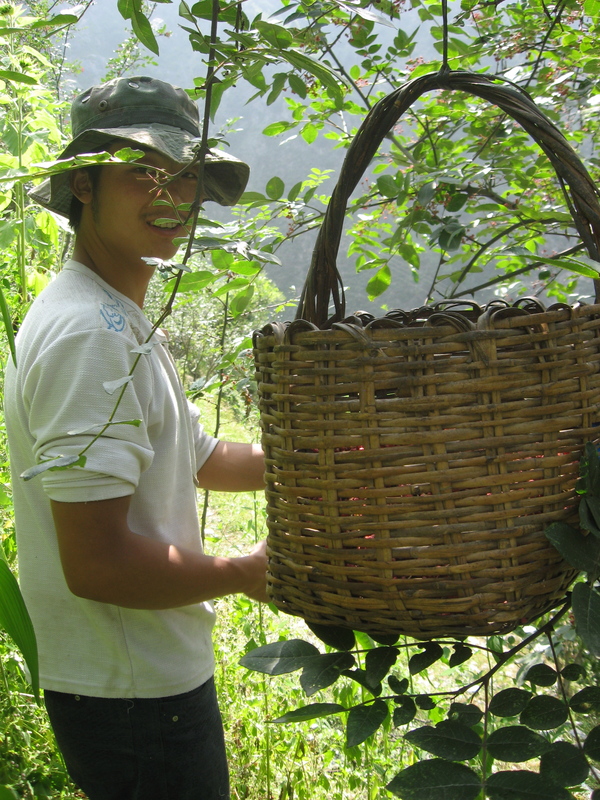 The following morning Peng and I said goodbye to his family and hiked back down the path where his cousin was again waiting take us the rest of the way down by tractor. 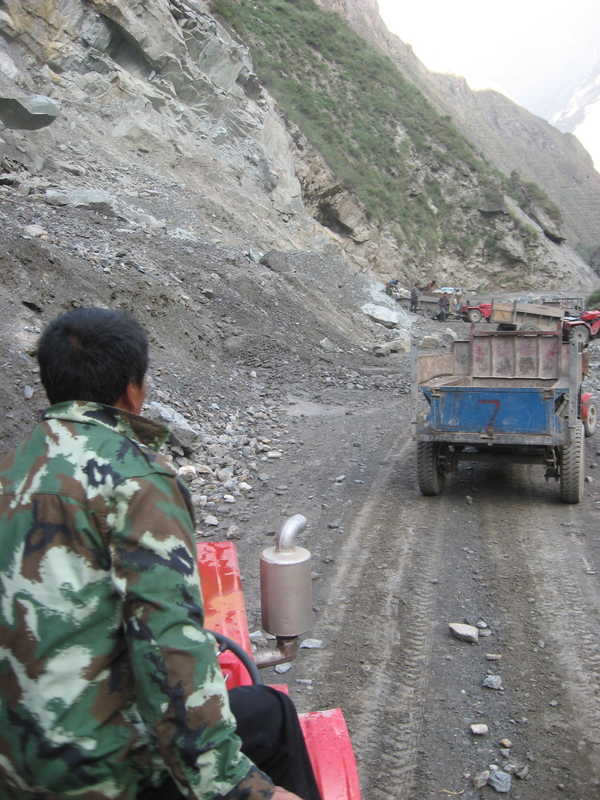 Peng told me the road leading up the mountain had just been built in 2009, but before that they would have had to walk up a parallel path that leads up another side of the mountain. When he was younger, he did not go down often. 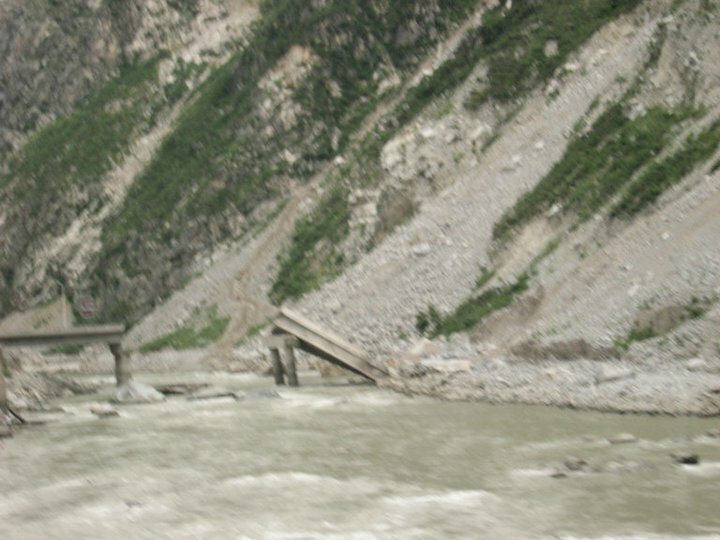 At one point during our descent we saw some young men heaving rocks down the side, and he said that is because they are still in the process of constructing the road– they will take large rocks from higher up the mountain, often by throwing them down the side, and then stack them along the road to keep it from eroding. Back at the base of the mountain we took the bus to Chengdu, and after helping me check into a hotel he later returned with his wife and their friend, and the handicrafts he would give me to take back to the US. 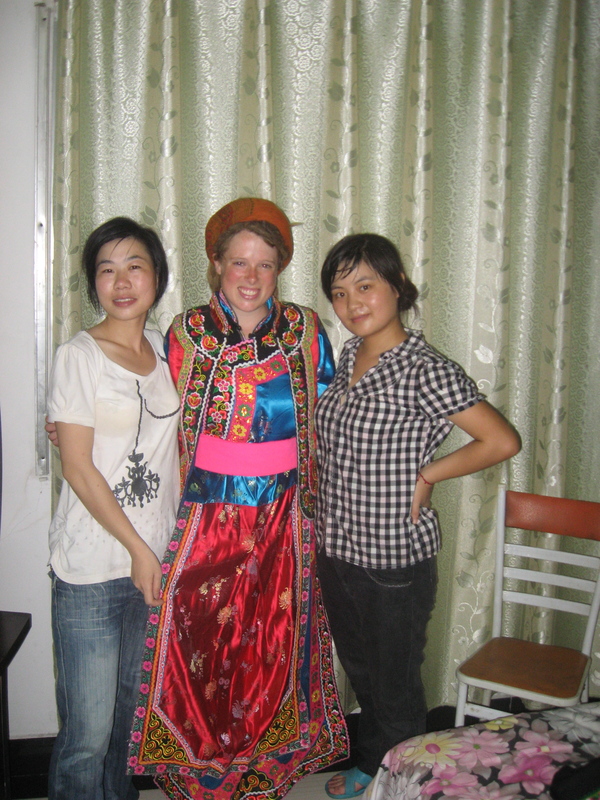 After writing out a description of everything and how much they would like me to sell them for, his wife and their friend showed me how to wear one of their traditional dresses– we all laughed as I modeled and took photos. We parted that night; Peng returned to continue working with GVB while the next morning I took the train back to Hangzhou. 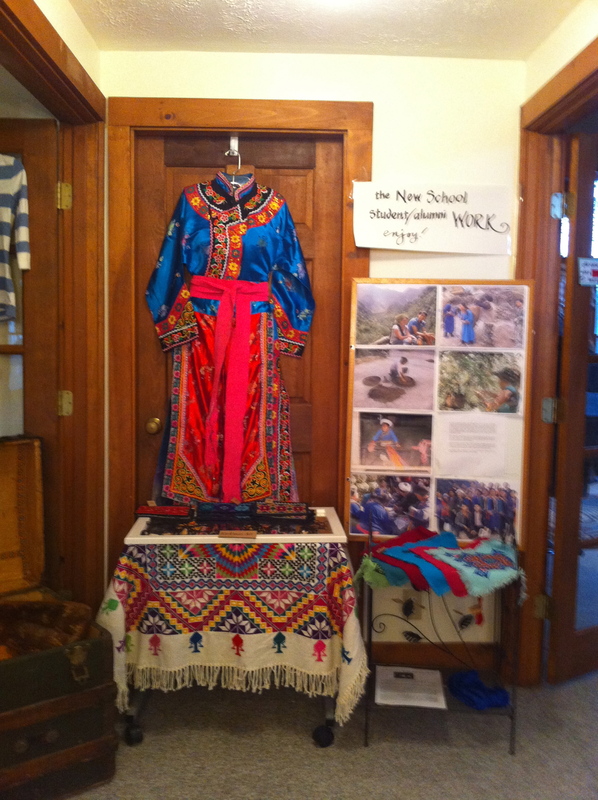 After I returned to the US I displayed Peng’s crafts in my community-based high school’s clothing store that teaches students business skills while providing a revenue stream for the school (you can check out my fantastic community-connected high school here: http://www.tnsk.org/). It was just a few months ago that all of Peng’s crafts sold and I was able to send him all of the profit. After returning to Hangzhou in August I spent the rest of the month teaching English in the city before continuing my fieldwork with Global College’s China Center: over the next 4 months I visited four farms in four provinces, from the northeast province of Jilin to the southern island of Hainan, more to come on these adventures in upcoming posts! 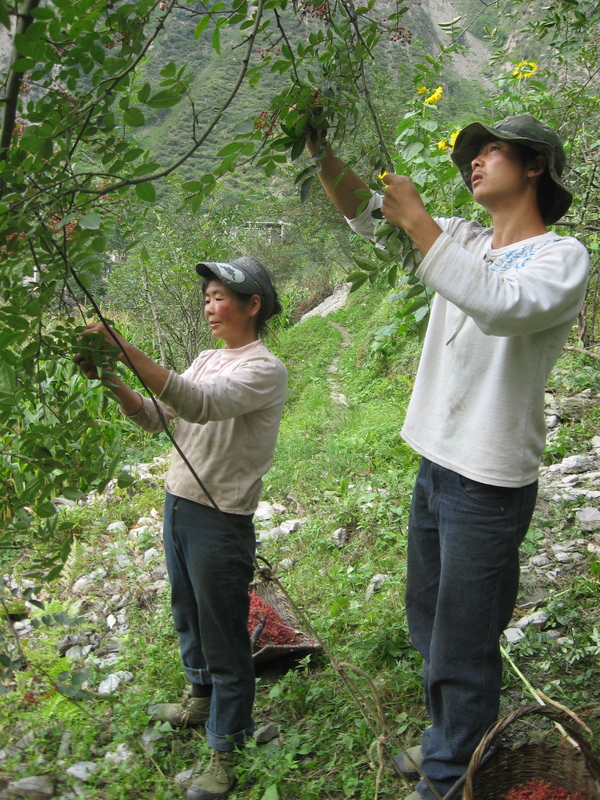 This entry was posted in 2010 Rural Field Visits and tagged environment, rural China, rural land-use, Sichuan, social enterprise. Bookmark the permalink. What fascinatinating stories! Thanks for sharing. I’ll look forward to more. Your descriptions put us right there for a momwnt. Keep up the good work- and the writing! Elena, I so enjoy reading your postings! Your work/vision not only reflects an analysis of the past, present, and future implications but reflects the human component. Your writing paints a wonderful picture of the human component.